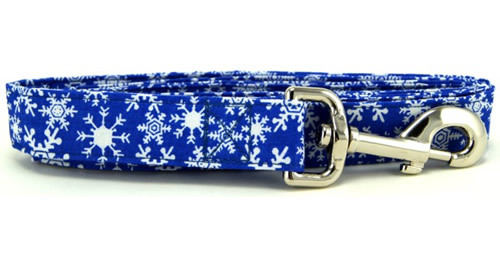 Handmade Holiday Dog Leashes from K9 Bytes, Inc.
Now you can dress your dog with matching collars and leashes for every season and holiday. 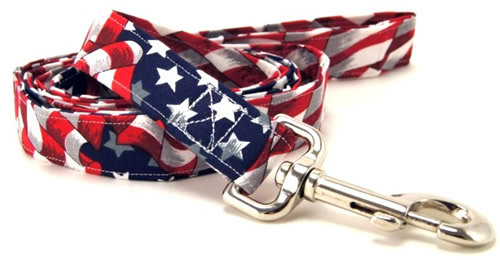 We have holiday leashes in Birthday, 4th of July/Memorial Day, Christmas, Hanukkah, Thanksgiving & Fall, Halloween, Valentine's Day, Mardi Gras, St. Patrick's Day and Easter themes. 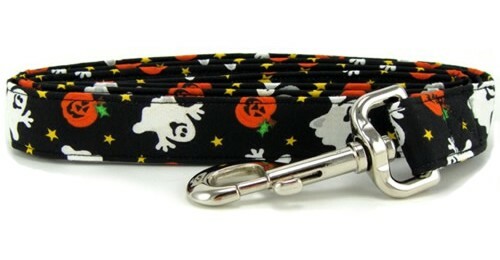 Our dog leashes and leads have a heavyweight zinc plated snap bolt. They are handmade from cotton fabrics. Choose from a large variety of fabric patterns. Matching collars are available. 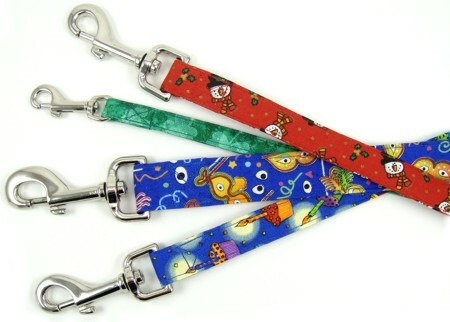 K9 Bytes leashes are hand or machine washable. Use cold water and a mild detergent. Hang or lay flat to air dry.